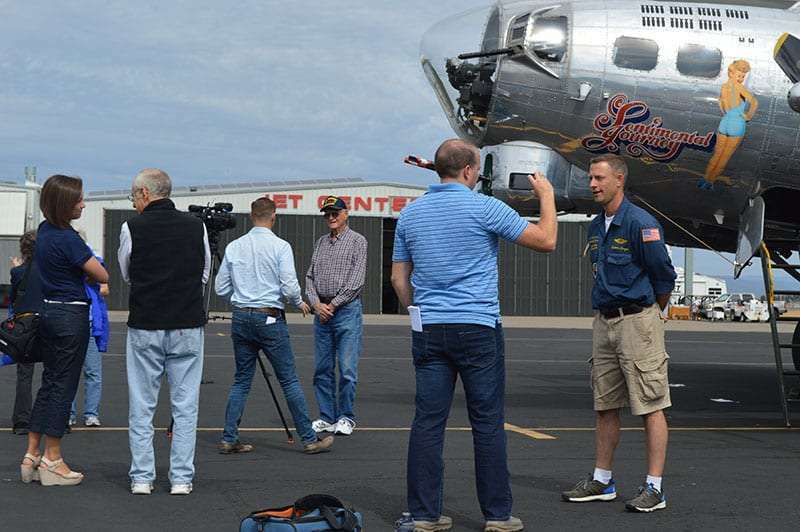 The Commemorative Air Force Airbase Arizona (a non-profit) is flying our B-17G WWII Bomber, “Sentimental Journey” into Medford, OR. 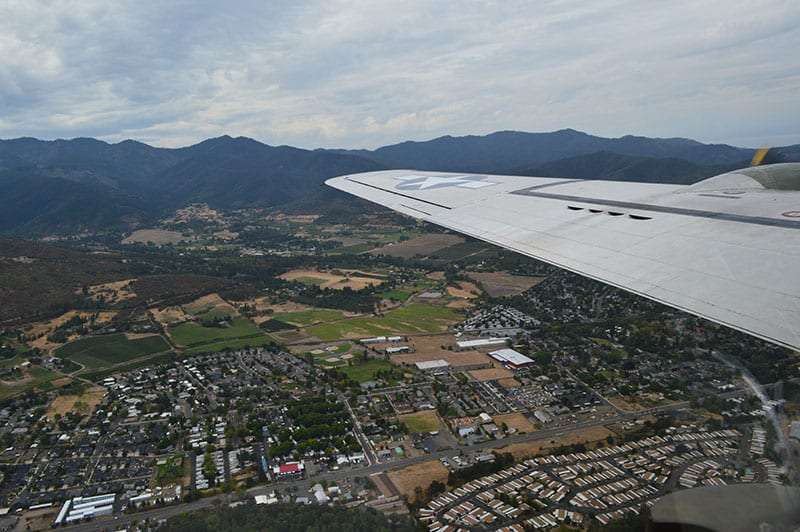 on 14 September 2015, arriving approximately noon. 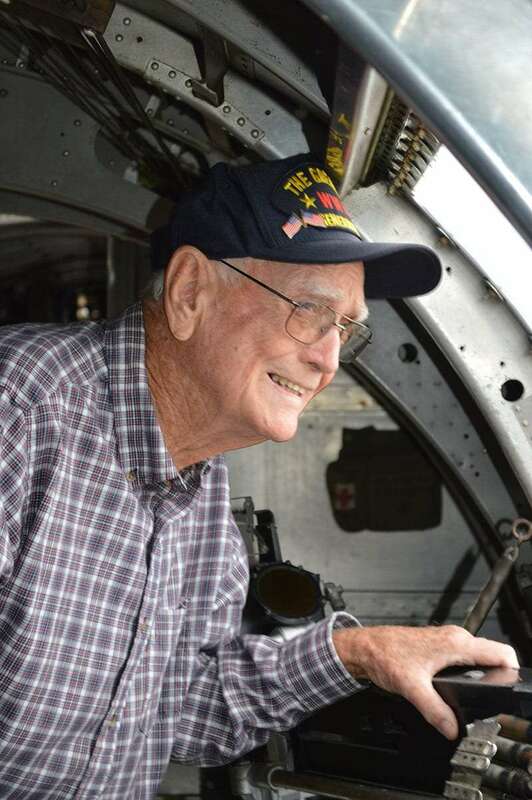 Our organization is a flying museum staffed by volunteers, sending our aircraft on tour every summer to reconnect the public with our living history and show our veterans we haven’t forgotten their sacrifices. 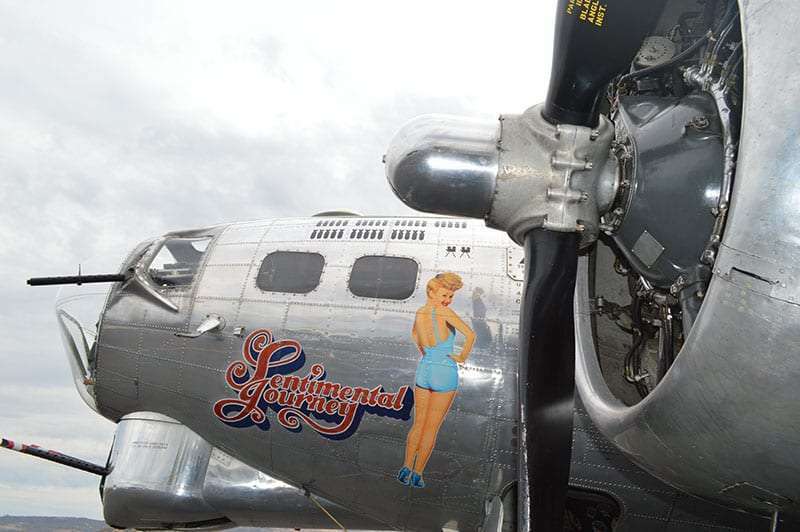 “Sentimental Journey” will be at the Rogue Valley International-Medford Airport 14 September through 20 September on display from 9:00 AM-5:00 PM for the public to tour through the aircraft, enjoy a flight, breathe in the history and talk with our volunteers to learn about the unique role these aircraft served for our country. 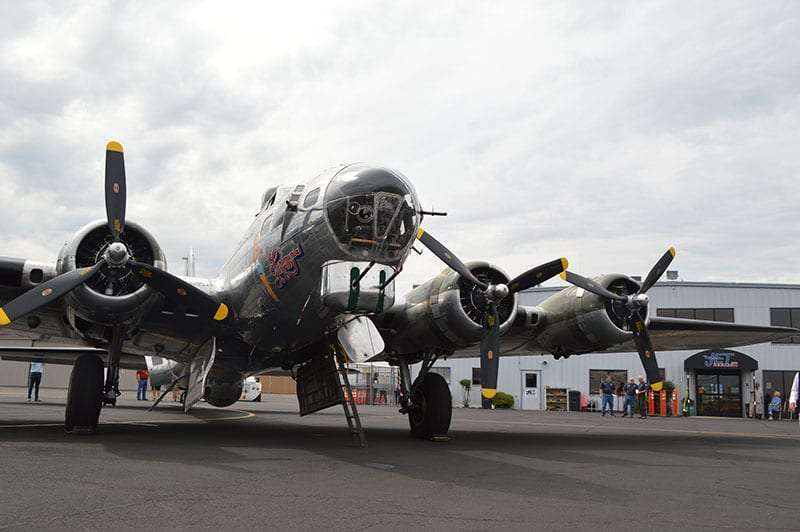 The B-17 was first rolled out in 1935 at the Boeing plant in Seattle, WA. 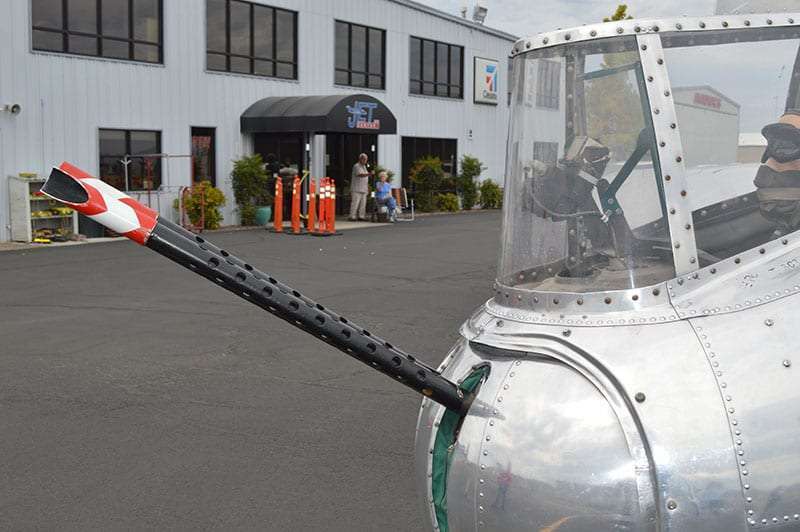 One local reporter exclaimed, “It’s a regular fortress.”. 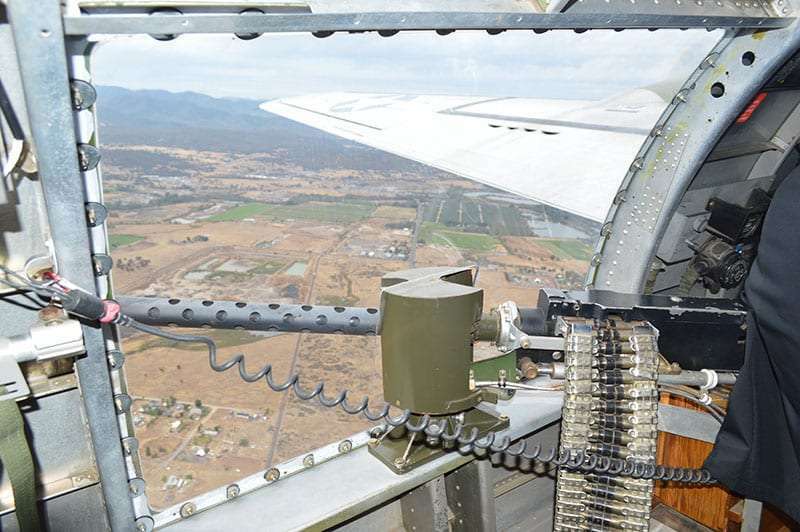 Thus the B-17 became known as the Flying Fortress She flew in both the European and Asian theatres during WWII. 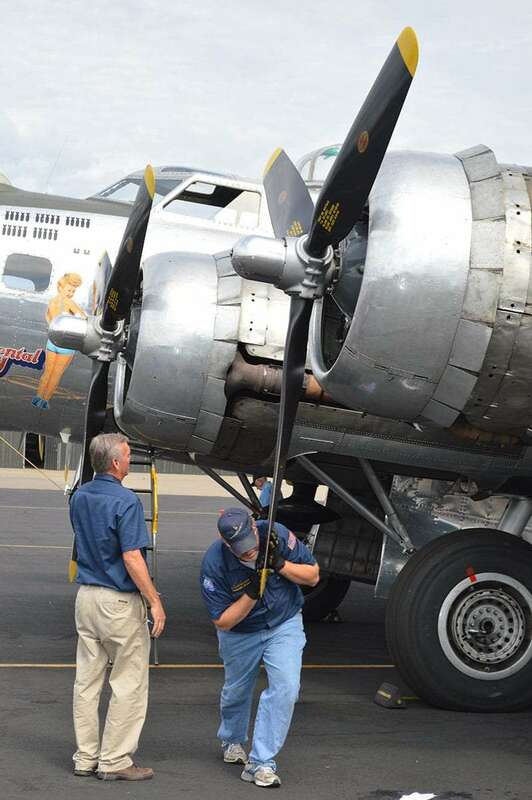 Her crew of 10 men experienced bone-chilling temperatures in an unpressurized plane. Temperatures often dropped to -60 degrees. 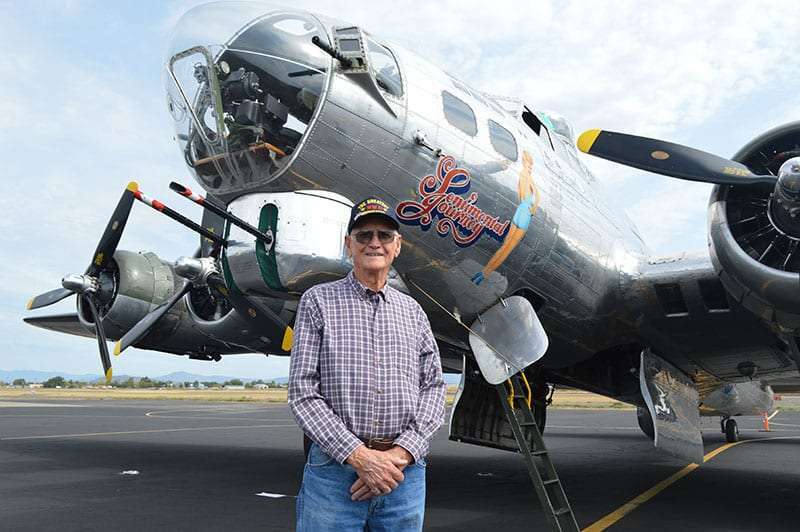 Of the 12,731 B-17’s made only half survived through WWII. Today only about 50 still exist worldwide and only about 10 still fly. 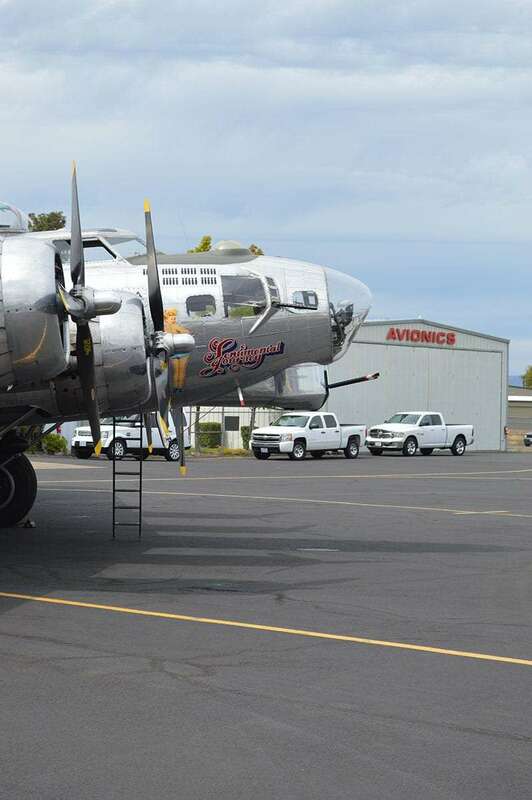 Airbase Arizona is fortunate to be the proud owners of one them. A unique opportunity that we able to offer the public are rides, an experience of a lifetime, putting folks right in the seat of history! 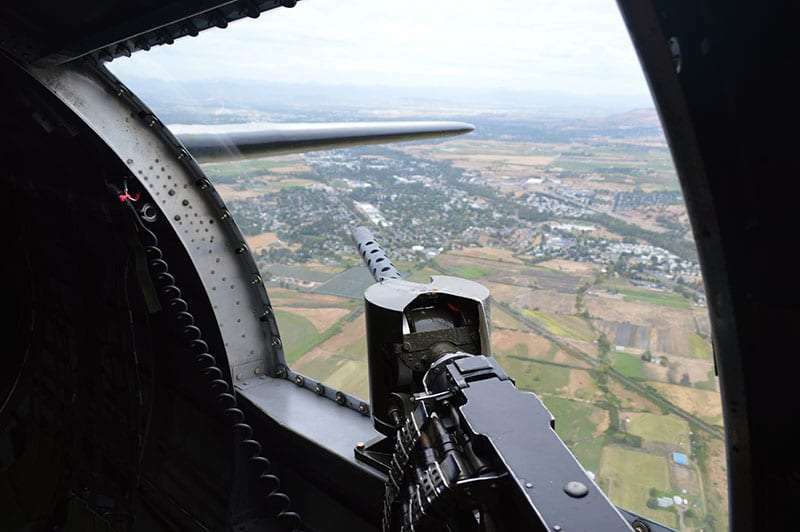 These Living History Flight Experiences ($425 Radio Room/Waist Gunner seats or $850 Navigator/Bombardier seats) serve to keep our aircraft flying and spreading the word across the country of our history. The CAF was founded to acquire, restore and preserve in flying condition a complete collection of combat aircraft which were flown by all military services of the United States, and aircraft of other nations, for the education and enjoyment of present and future generations of Americans. 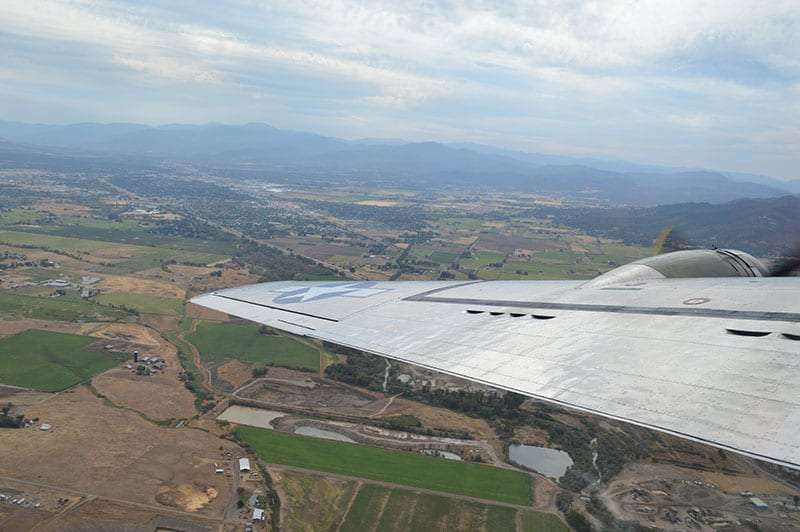 More than just a collection of airworthy warplanes from the past, the CAF’s fleet of historic aircraft, known as the CAF Ghost Squadron, recreate, remind and reinforce the lessons from the defining moments in the American military aviation history.